Large gravel site. Easy to level our trailer. Although the park is close to major roads and shops it is quiet and the loop we were in was very quiet and had a rural feel. A lot of sites have good space between them but be aware that the sites on the plan that look close together e.g. 12 &13, 7 & 8, are all one gravel area. More like a family site. 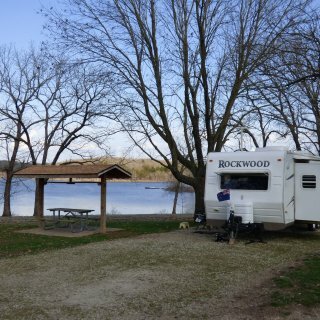 We camped at Fleming Park/Blue Springs Campground in a Travel Trailer. 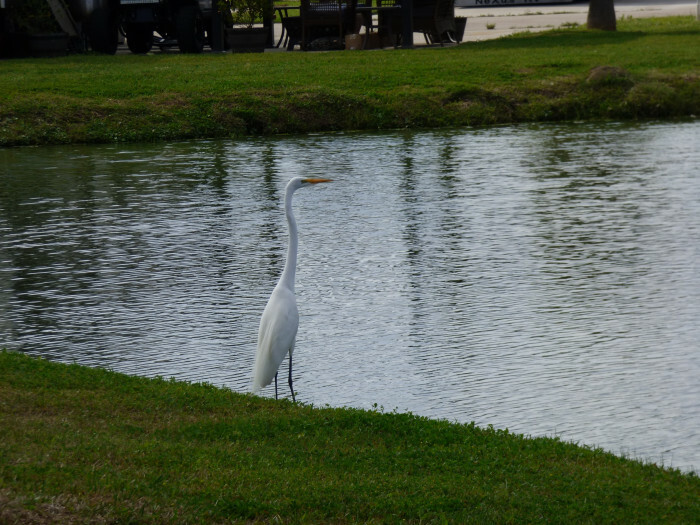 Small, very quiet RV park in the country. Surrounded by farm land. Lots of large trees in the park. Nice level gravel sites. We were only looking for an overnight stop but would be very happy to stay longer. good local shopping tips from the owner. Only 8 miles from West Plains We camped at Chipmunk Crossing RV Park in a Travel Trailer. The park grounds are very well kept. Lovely quiet place to stay while visiting New Orleans. 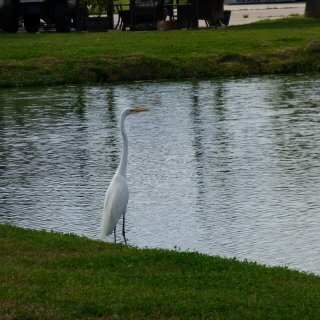 We camped at Bayou Segnette State Park in a Travel Trailer. Very clean, tidy park. Flat concrete sites. Lovely quiet place to stay when visiting Houston. 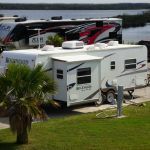 We camped at Marquee On The Bay RV Resort in a Travel Trailer. 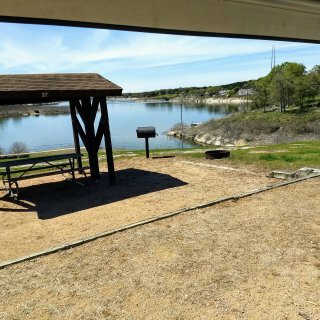 Great State Park with fabulous water views from most sites. We camped at Cedar Ridge COE in a Travel Trailer. Very friendly, helpful staff. Quiet park but some road noise due to being close to the I-40. Continental breakfast included and all day coffee and popcorn available. 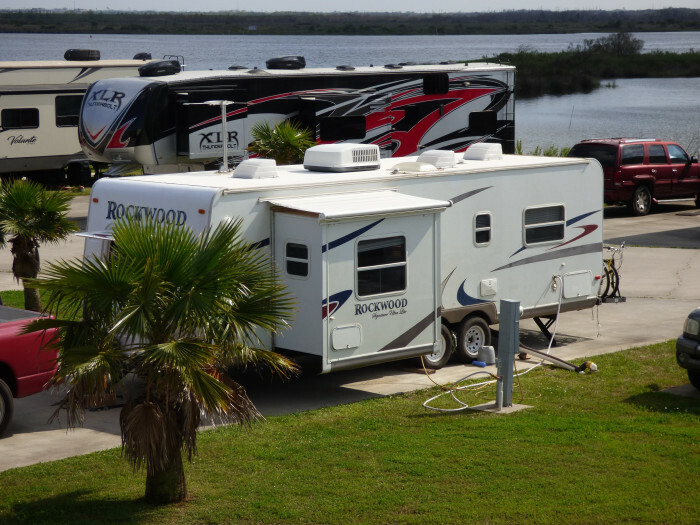 We camped at American RV Resort in a Travel Trailer. Close to Camping World. Also beside Enchanted Trails RV Park (about a mile away) is Randy's propane. He recertified our propane cylinders. He does tank testing and filling. He also stocks a lot of other RV parts and has lots of good helpful information. For a NFS campground I thought the fee was far too much. $24/night! Other reviews had said $12 so don't know when the price doubled!! The sites are nicely spaced through the trees. Roads and sites paved but as someone said, quite a few would be hard for larger rigs to level. A very small lot of firewood is $7. Showers $3 for 5 minutes. And yes, they are still charging for campers to use dump station. 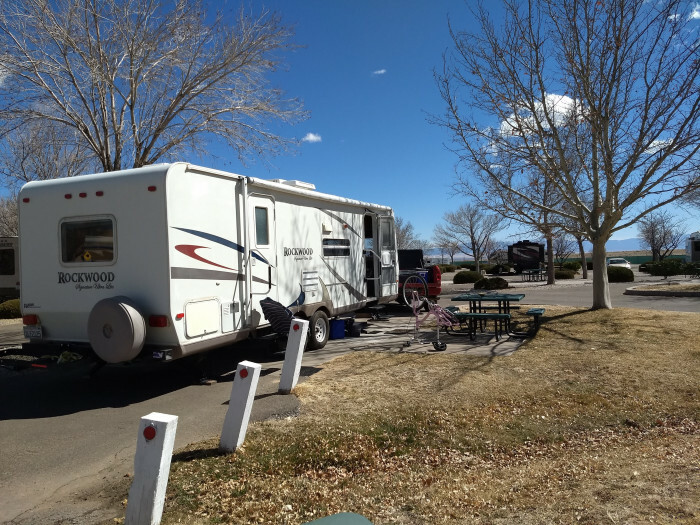 We camped at Tonto National Forest / Houston Mesa Campground in a Travel Trailer. As mentioned you have to pay to dump. Go to free dump station at Giant Station, Hwy 260 E, Payson. 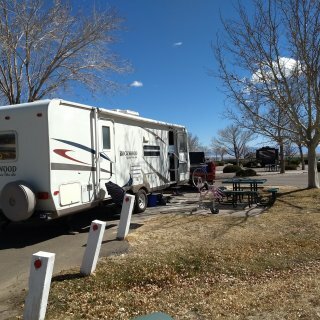 They have 3 dump stations, RV washing, propane, gas etc. Great bathroom facilities. Tiled showers. Sealed roads and parking but my one complaint is the picnic table and bbq area were dirt. Also think $30 is a bit high for SP but that seems to be AZ policy everywhere. Great walks in the park and a good shopping centre across the road from the entrance to the park. We camped at Catalina State Park in a Travel Trailer. Great value for water and electric. Dump station only half mile away. 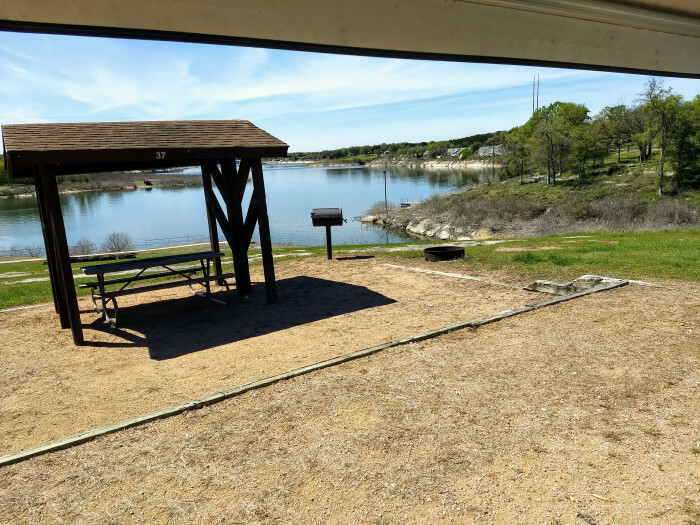 Lake views but camp is not at lake edge. Saw Park Rangers and Campground hosts every day but still rubbish wasnt't always cleared away if left by other campers. Some walking trails and 2km road to park gate is safe for bike riding - little traffic. 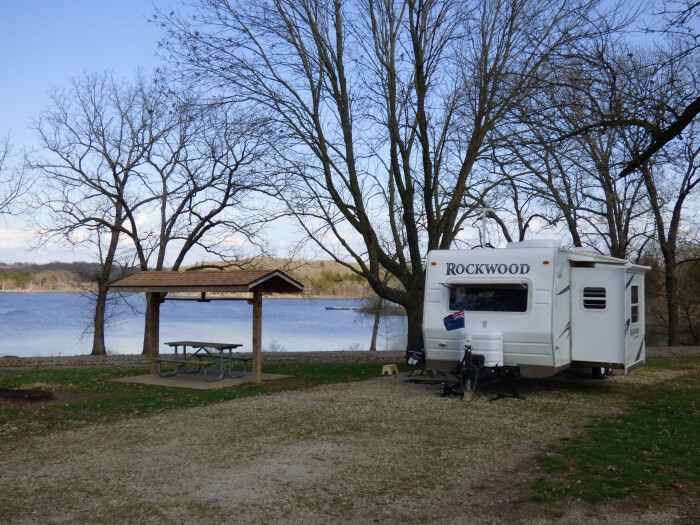 We camped at Brantley Lake State Park in a Travel Trailer. Easy day trip to Carlsbad Caverns and other sightseeing in the area. Great value for water and electric. Dump station at the gate and old, but tidy bathroom block. Lovely lake. Wonderful for a swim to cool off on the hot days. Only downside was flies and biting insects so you do need insect repellant. 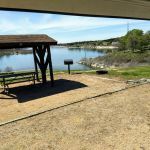 We camped at Bottomless Lakes State Park in a Travel Trailer. We stayed here for 2 nights during Balloon Fiesta where prices are 50% higher! Nice park with sealed roads with concreted areas to park. Some nice trees around and grass areas. Continental breakfast is included which includes of cereal, boiled eggs, bagels, juice and coffee. 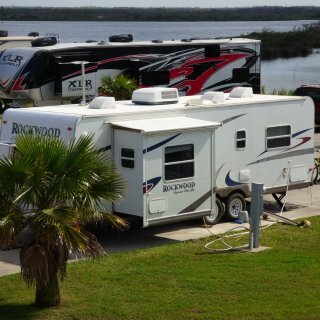 We camped at American RV Resort in a Travel Trailer. We stayed here twice in the last 10 days. More expensive than usual due to Balloon Fiesta. Very efficient check-in. Bus stop right outside the RV Park gate to downtown. Some sites have patios and concrete pads. Neither of ours did. 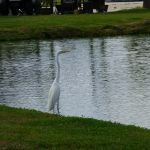 We camped at Trailer Ranch RV Park (55+ Park) in a Travel Trailer. Half the park was closed off due to the time of year but they still had a number of sites available with water. Some also had electric. Sites also had a great shelter with large table plus a fire pit. All sites had views of the lake. Good cellphone reception. Very level site. 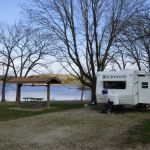 We camped at Storrie Lake State Park in a Travel Trailer.